Remember the Icelandic ash cloud of early 2010? The eruption of the Eyjafjallajokull volcano led to the cancellation of thousands of flights, stranding millions of passengers worldwide for days. An Airbus A400M test aircraft disperses Icelandic ash into the atmosphere. 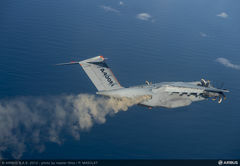 This week an airplane flew through an artificial ash cloud over the Bay of Biscay in the northeast Atlantic Ocean to test how passenger aircraft can cope with such eruptions. For the experiment, European aircraft maker Airbus teamed up with Britain’s largest airline, easyJet. During the test, an Airbus A400M dispersed Icelandic ash into the atmosphere while another aircraft, an Airbus A340-300 fitted with the AVOID volcanic sensor, flew towards the cloud, identifying and measuring it from almost 60 kilometres away. Airbus said the ash cloud was created at between 9,000 feet and 11,000 feet, conditions consistent with the 2010 eruption. A third aircraft took measurements to corroborate data from the AVOID system. “The threat from Icelandic volcanoes continues and so we are delighted with the outcome of this unique and innovative experiment,” said easyJet’s engineering director Ian Davies. An Airbus A340-300 fitted with the AVOID sensor. He said easyJet intends to fit its aircraft with the AVOID system. 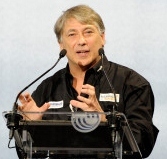 The Airborne Volcanic Object Imaging Detector technology was invented by Fred Prata of Nicarnica Aviation, based in Norway. 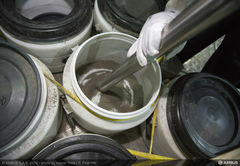 “The team has just executed a unique scientific and engineering experiment conclusively demonstrating that low concentrations of ash can be identified by the AVOID sensor,” said an excited Prata. While the cloud was fake, the ash used in the test was real — it was from the 2010 eruption. Ash ready to go into the atmosphere. Airbus said it was collected and dried by the Institute of Earth Sciences in Reykjavik, Iceland. 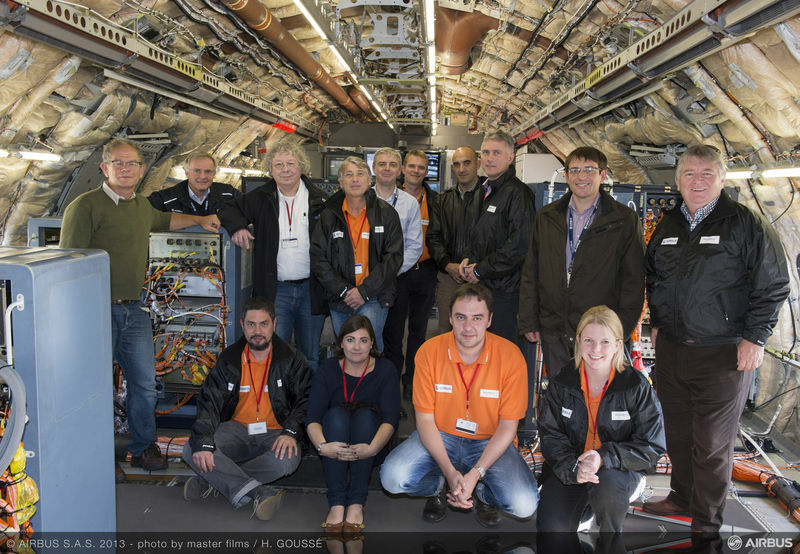 EasyJet then collected it and flew it to Toulouse, the headquarters of Airbus in France. 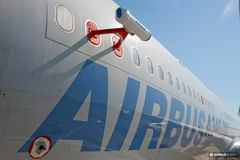 Charles Champion, Airbus executive vice-president and head of engineering, said the team wanted to prove that the ash-detection concept can work. “We are at the beginning of an invention which could become a useful solution for commercial aviation to prevent large-scale disruption from volcanic ash.” Experts believe the risk of another Icelandic eruption remains high and the AVOID technology could help open up large areas of airspace that would otherwise be closed during an eruption. All photos are courtesy of Airbus.